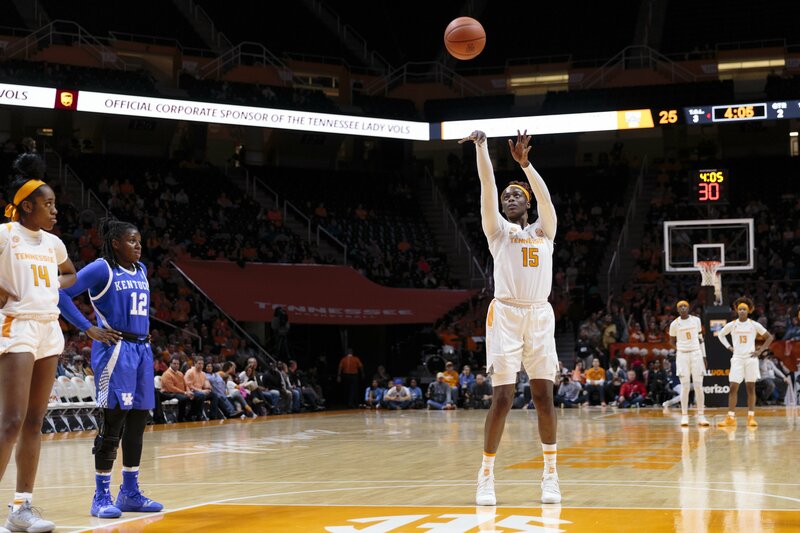 As a senior, led UT in rebounding during 16 contests and in blocks on 10 occasions. Scored in double digits 14 times during her senior season, averaging 9.0 ppg. and recording the team’s highest field goal percentage at .548. Was the only Tennessee player to start every game during the 2018-19 season. Poured in a career-high 20 points while snagging eight rebounds on Senior Day against Vanderbilt. Averaged 10.3 ppg and 8.8 rpg in SEC play. Saw action in every game during the 2017-18 season, scoring in double figures five times and pulling down double-digit rebounds in three contests. Averaged 4.1 ppg. and 3.7 rpg. and shot .549 from the field in a reserve role during her first season back in action following knee surgery in 2015-16 and a redshirt year in 2016-17. Redshirted and sat out the whole 2016-17 season to rehab from a right knee injury suffered in 2015-16 at ASA College. Played with Great Britain U20 team. Member of England National U16 and U18 Teams.